In the third quarter of 2017, despite an increase in capacity of 9.1 per cent, Air Canada beat analysts’ expectations by earning $1.79 billion, representing $6.44 per share, compared with $768-million, or $2.74 per share, a year earlier. Record system passenger revenues of $4.478 billion increased $372 million or 9.1 per cent from the third quarter of 2016. The increase in system passenger revenues was driven by traffic growth of 8.8 per cent and, to a lesser extent, a yield improvement of 0.4 per cent. The carrier also said adjusted cost per available seat mile (CASM) – a key measure of how much an airline spends to fly a passenger – dropped 2.1 per cent. In the business cabin, system passenger revenues increased $90 million or 13.7 per cent from the third quarter of 2016 on traffic and yield growth of 8.3 per cent and 5.0 per cent, respectively. Market analysts observe that the company’s cost cutting along with upgrading its fleet with more fuel efficient aircraft is paying off. 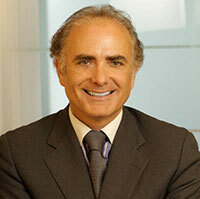 “I am pleased to report that Air Canada delivered its best ever third quarter financial performance," said Calin Rovinescu, President and Chief Executive Officer. "These record results underscore the success of the multi-year transformation of our business model. This follows our September 19th Investor Day when we outlined in further detail our accomplishments and the opportunities that lie ahead which, together with more ambitious financial targets for the next three years, have been well received by the investor community.